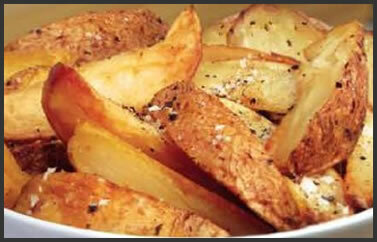 Remove wedges from packaging and place on a baking try in a preheated oven. Turn wedges halfway through cooking. Potatoes 95%, Sunflower Oil, Halen Môn Sea Salt, Black Pepper. Great packages and they slot right in my freezer! Just the right amount to go with a meal for me and my wife.